I ski the backcountry a lot, so I pay close attention to reports of avalanches. In particular, I pay attention when a skier is caught and killed by one. This year alone there have been 20 avalanche fatalities in the United States. In January, there were nine fatalities in nine days. Very few avalanche accidents are completely random. It seems like many skiers get caught because they are ignorant of the danger. Or they knew about the danger, had a plan to stay safe and then didn’t follow those rules. What I find so interesting about these avalanche anecdotes is how much they remind me of the way we treat risk, particularly in our financial lives. At the very least, there are two very important lessons we can learn. Planning not to ski a hazardous slope is not the same as standing on a foot of fresh powder and looking down the hill. When we’re investing, we dolifeboat drills to practice what we would do if we woke up one morning and our portfolio was down 30 percent. We play out these hypotheticals to discover the point when we would wave the white flag and sell. That’s not the same, though, as actually waking up on that terrifying morning. Unfortunately, what we plan to do when risk comes up is often different from what we actually do when it does. That doesn’t make lifeboat drills any less valuable. It’s just worth understanding that in spite of all that practice, there’s still a good chance that when we face real risk we’ll tend to react differently. We overestimate our ability to tolerate risk. So it’s worth planning for that, too. Bad things happen when we don’t follow our own rules. When we work with a financial adviser, our rules for handling financial risk often appear in the form of an investment policy statement. The statement specifically outlines what risk we’re comfortable taking (for example, how much we want to invest in the stock market versus bonds). It also explains how we’re going to behave when that risk shows up and how we’re going to rebalance our investments when we suffer losses so that we still have the targeted amount of different holdings. You can write one for yourself easily enough even if you’re not hiring someone to help, by the way. So we list the rules for our behavior, but they’re only good if we follow them. Perhaps the only thing that’s worse than not having an investment policy statement is not following the one you do have. The rules set by the statement are very important because they prevent us from making rash, emotional decisions at precisely the time when calm, collected, logical thought is most valuable. When we abandon those rules in our most vulnerable state, we open the door for potential disaster. Almost any type of investing requires us to accept irreducible uncertainty: Risk that, in the end, we just can’t get rid of. That’s why having rules is so important. Whether backcountry skiing or investing, having a plan and sticking to it is critical for managing the inevitable risks that all of us eventually end up facing. 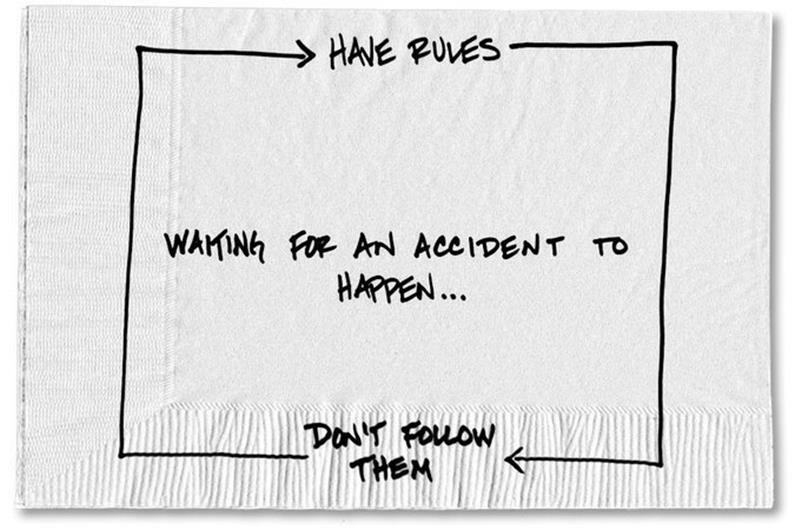 0 responses on "Featured Blog: Make a Plan on How to Handle Risk, Then Stick to It"